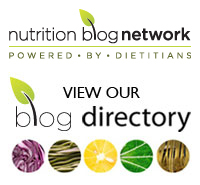 For the most part I love Fooducate; however, I was a little surprised by this recent blog post on their site. The post referenced a recently published study that suggested our touting fish oil supplements (or even the recommendation to consume fatty fish twice a week) is faulty. They did not offer any thoughts or critique on the new “study”. population for assessing the presence of CAD or CAD risk factors”. They state that this study, conducted before the Eskimo population had adopted a Western diet, found no difference between incidence of CAD in the Inuit population in comparison to American and European populations. Interestingly, I took a look at the original research study and the researchers actually found a lower risk of CVD in the Inuit population as compared to the Western population. Essentially the opposite of what the current researchers are claiming. So… “What the heck does this all mean? ?” you may be wondering. Should you be eating fish twice a week? Should you be taking fish oil supplements? Well, unless you are a Greenlandic Inuit then this research may not apply to you at all. We can’t say that what’s healthy for the Inuit population is healthy for other populations. We also can’t be certain that it’s the consumption of fatty fish that reduced their risk of heart disease. It may be any of number of other lifestyle factors that placed them at lower risk for CVD. 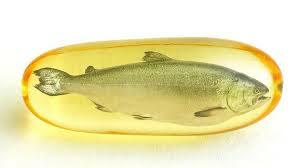 Recent research into the benefits of fish oil has yielded mixed results. Some studies show benefits of fish oil consumption, others show negative effects of its consumption. As always, the best advice is that variety is the spice of life and it’s best to obtain your nutrients from whole foods. Yes, eat fish (limit the larger saltwater fish you consume though as it can be high in mercury), choose a variety. If you don’t eat fish, you might want to consider consuming a fish oil supplement. There may be benefits other than lower CVD risk associated with consuming omega-3s from fish/fish oil (such as mental and cognitive well-being, bone and joint health). Research is ongoing and you might want to wait before you turf your fish oil supplement or grilled salmon. Tags: CVD, Eskimos, Fatty fish, fish, fish oil, fooducate, health, heart disease, Inuit, nutrition, supplements | Permalink.